Don’t get caught up in the stress of “what to buy.” Gift cards suit all your gift-giving needs and are an ideal choice for birthdays, holidays and weddings. 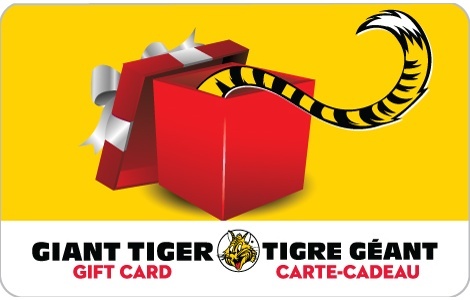 Choose from our wide selection of prepaid comforts and services at your local Giant Tiger. It’s gift-giving made easy!